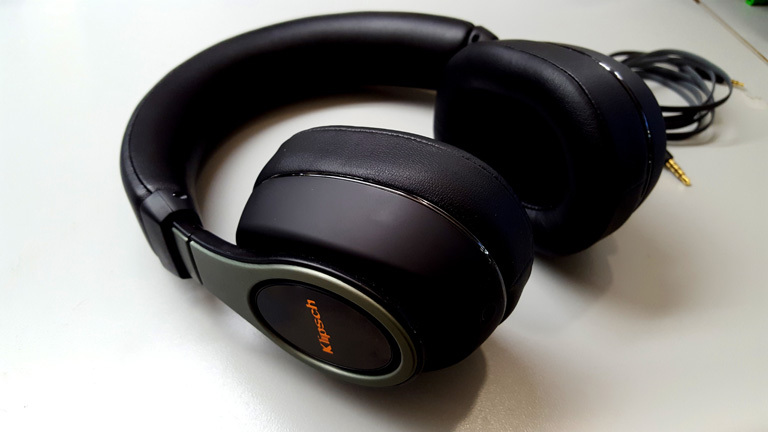 Klipsch provided the Reference Over-Ear free of charge for the purpose of my honest review, for good or ill.
I’m on a headphone kick right now, trying to get my hands on more over-ear doohickeys. 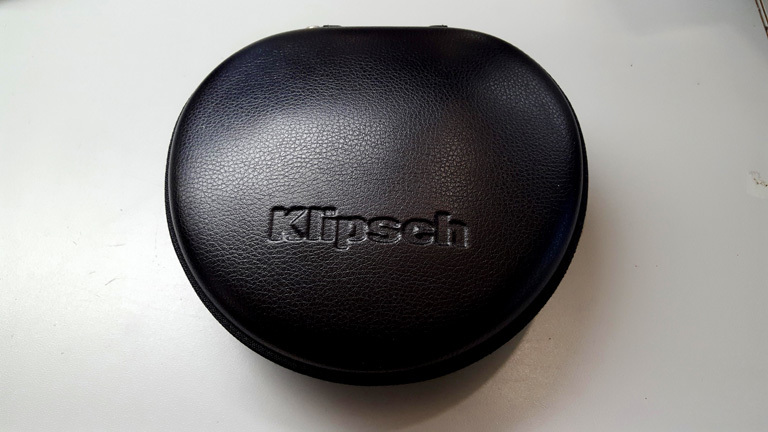 When I found myself on the Klipsch website, looking at their Reference cans, I felt the urge to contact them. See if they were interested in a Pinky review. They were more interested than I anticipated, asking me to review one of their Bluetooth Neckbands as well. That write-up is coming. And it will be a positive one, at that. The X12 Neckband has become something I use almost every day. But that’s for a later date. Right now, let’s talk about the Reference Over-Ear. The build is tight and smooth and finely crafted, in spite of all the plastic. It has a quality feel to it: very little rattling, and no flimsiness. They are light, and the pads are very soft and luxurious feeling. Comfort is pretty good. The Reference Over-Ear (ROE) is small, and just barely fits my ears inside the pads. But they do fit. If you have large ears, the pads may sit atop portions of them, which could lead to awkwardness or pain after a while of listening. 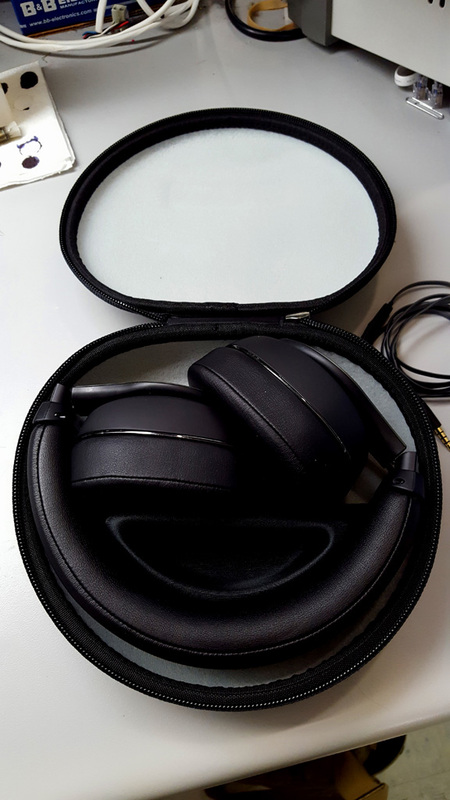 ROE comes with a really nice carry case, which is compact enough to be super useful for travel and commute. The cable is detachable, and looks like it’s a 4 pole 2.5mm. 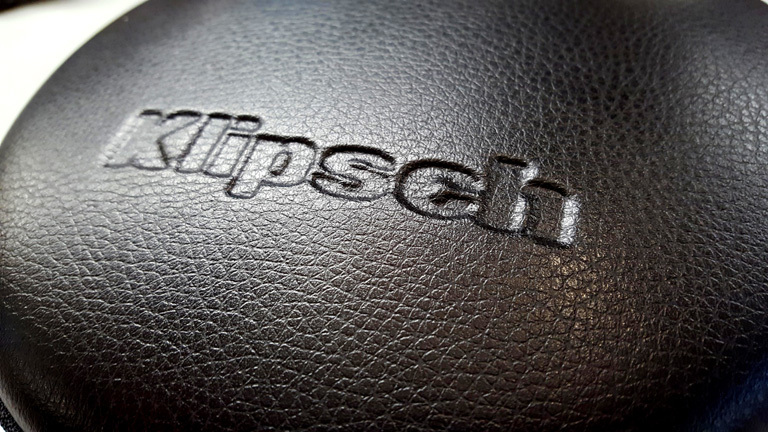 But I can’t swear by that, because that information is nowhere to be found on Klipsch’s website. It merely states that it terminates at the standard 3.5mm. Which is true, for the other end. This cable is light, and transmits very little vibration. There’s a mic and remote which works for both Android and iOS.